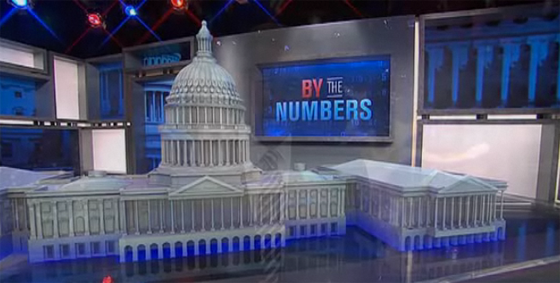 NBC News and MSNBC continued its election coverage dominance by pulling out all the stops. 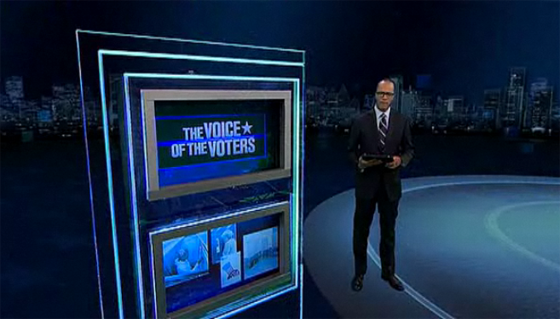 Besides having 14 anchors, analysts and reporters on set in multiple studios in 30 Rock, the two networks continued its extensive use of virtual and touch screen technology. 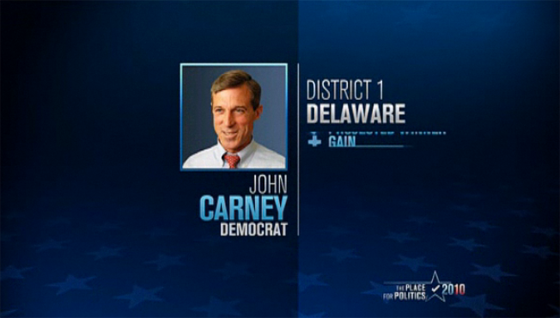 While the technology was new for many U.S. networks in 2008, the networks have had more time to learn and tweak, meaning a well rounded and polished look for this election. Unlike other networks, the technology, powered by Orad, worked. The iPad app didn’t fail. The real-time virtual graphics didn’t twitch. 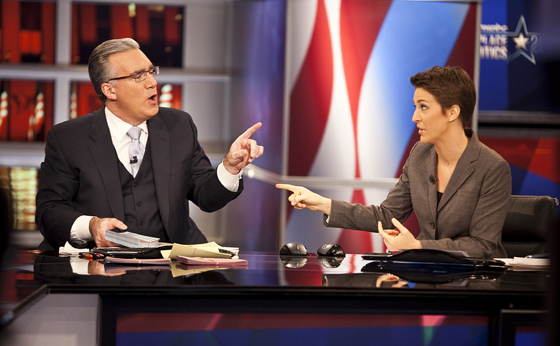 View more photos on NBC’s Flickr Photostream. 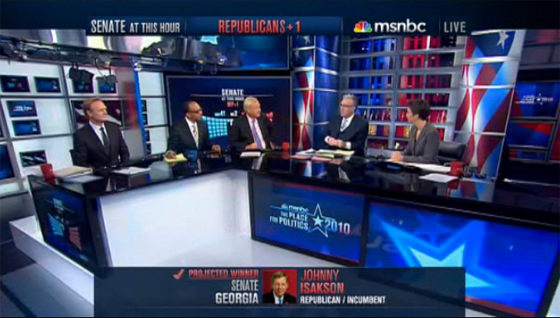 The large desk is back, and worked well to accommodate five talking heads at once. 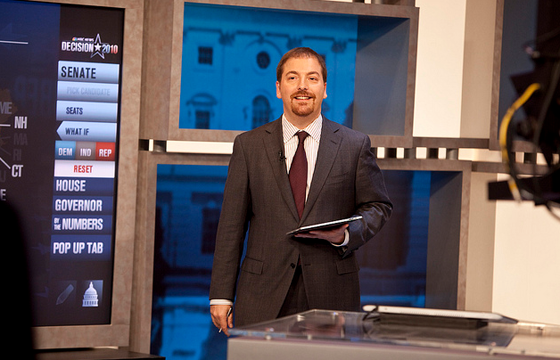 Chuck Todd was back breaking down the numbers in a secondary set in studio 8B. 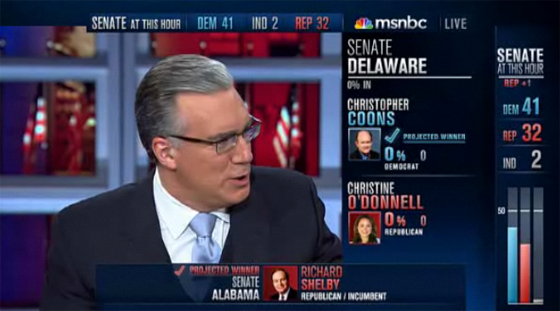 Unlike 2008, this set was real and featured a touch screen and an area for virtually inserted graphics. 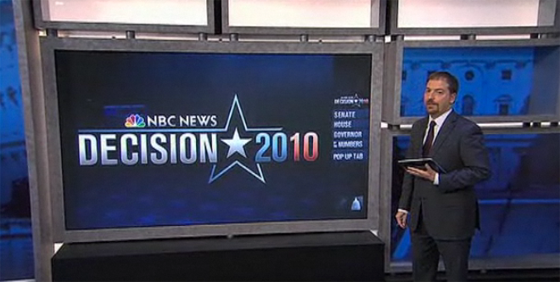 NBC News used technology by Orad to power the iPad application and touch screen, along with many of its other graphic elements. 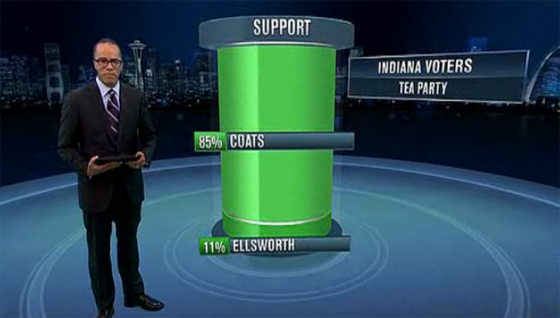 Lester Holt was on the green screen with the voice of the people. 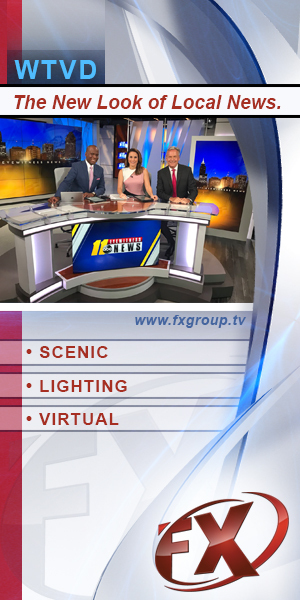 The virtual studio was powered by Brainstorm’s technology, a Brainstorm rep confirmed to NewscastStudio. We talked about this technology in detail after the last election. 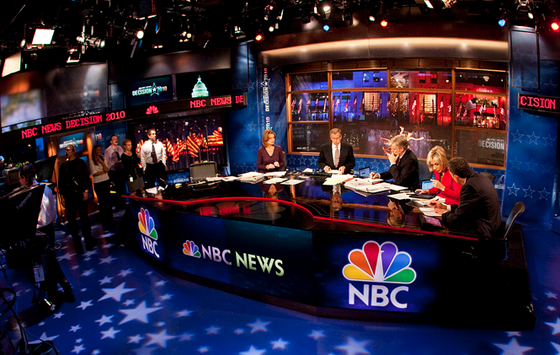 Overall, NBC News and MSNBC had a clean and well executed election night, topping many of the other networks efforts. While they could have over used the gimmicks and technology, they didn’t. They instead used them when needed to break down the story.